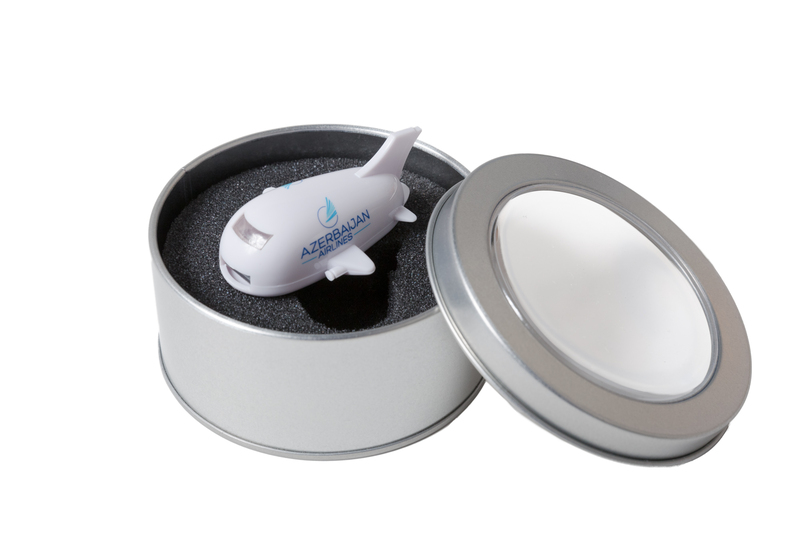 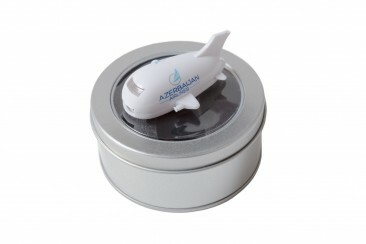 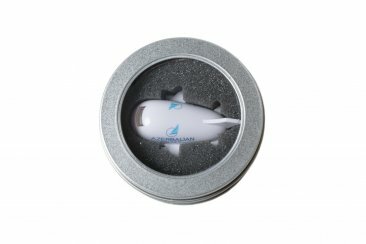 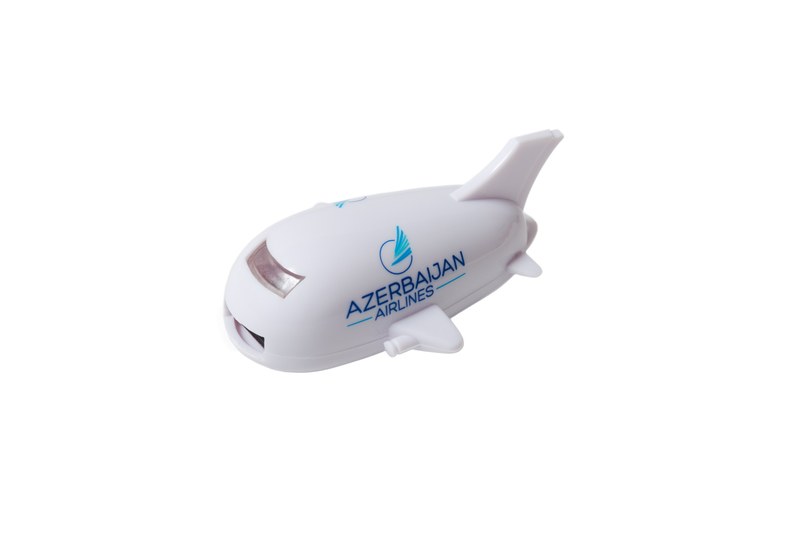 A compact USB flash drive in the form of an airplane in the livery of the Azerbaijan Airlines. 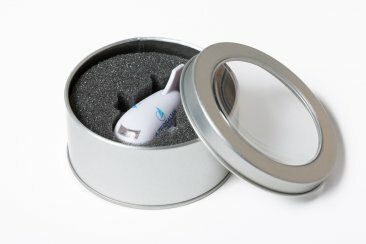 For convenient carriage, the USB connector is made in a slide style. Capacity of flash memory is 4 GB. 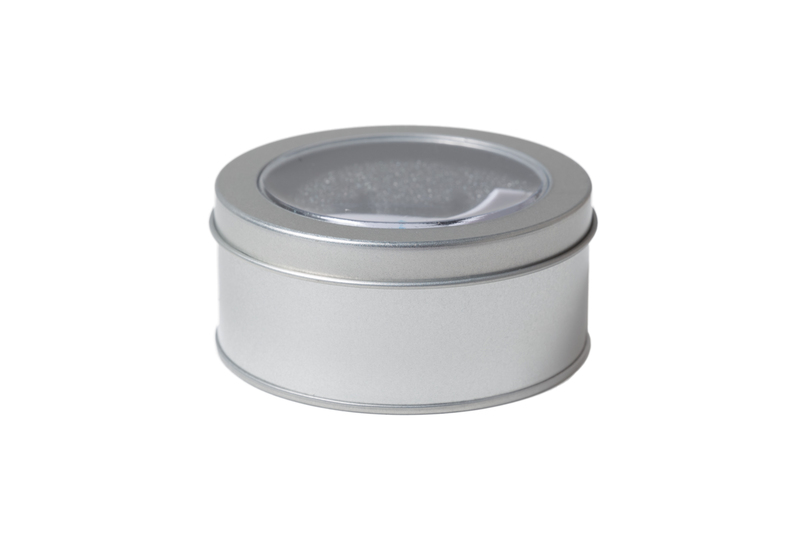 Comes in a stylish chrome round box.